Ever since I’m into fine chocolate, there are countless other food groups that catch my attention. One of them is dried fruits and nuts. Everyone knows how almonds, hazelnuts, macadamia nuts and raisins taste as you can buy them in every supermarket. But only when you taste fresh, in house roasted nuts of premium quality, you understand how crunchy, zingy and flavorful they really are! My new favorite shop in Ghent is “De Kouter Noten en Fruit Boetiek”. They carry an amazing array of dried and fresh fruits and nuts … and they sell Willie’s Cacao bars! Double win. Willie Harcourt-Cooze is the Brittish chocolate maker who introduced me to the adventurous world of producing bean to bar chocolate. His start up was documented in a wonderful series on television, where you can see first hand how he struggles with antique machines, cocoa deliveries, setting up a real factory and sets up a contacts in the retail world in order to distribute his amazing products. His aim is to teach people about the flavors of real chocolate instead of the poorly made industrial chocolate confection which is sold in most shops right now. I’ve tried most of his single origin bars by now, except for the one I found during my latest visit to the Kouter shop. Other than Marou’s Vientamese bars and Magalena’s Philippines made chocolate, Asian origin chocolate has been sorely missing from my repertoire of reviews and tastings. 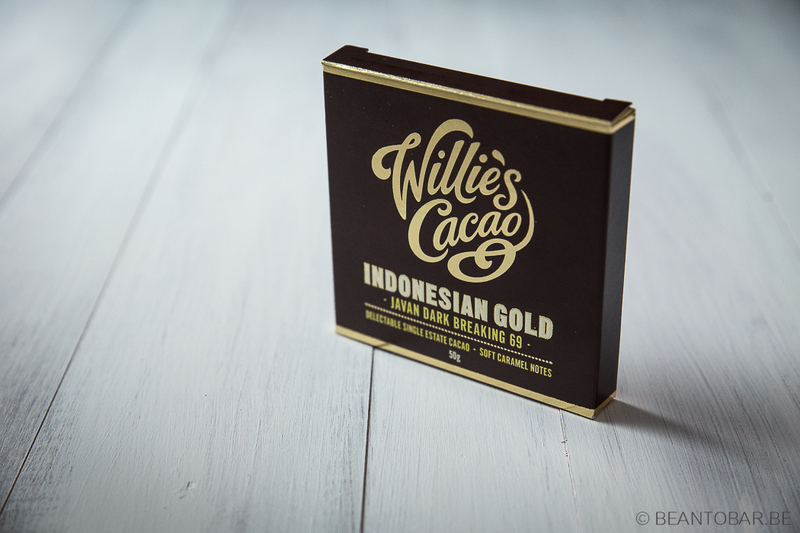 However the Asian region is known to produce some pretty amazing cocoa, offering distinct flavor profiles including spiced and smoky notes – so my expectations are high, especially after tasting the other creations of Willie Harcourt-Cooze. The package is classic Willie’s chocolate. Deep brown with luscious golden imprint. It has a luxurious feel to it and the square format sets it apart from other chocolate bars in any shop. Inside, the bar itself is hugged by a golden wrapper, adding to the experience of opening such a delightful little box. Rip it open and a tantalizing smell emerges, together with a nice 50 g piece of chocolate. No scouring, no fancy artwork, just chocolate with a small “W” imprint. I find it kind of sad it doesn’t have the fluent and large imprint the bars used to have. But that won’t change any of the chocolate flavors. Color: Dark tropical wood brown. Taste: A hard snap on breaking of a piece. Use some strenght as it will only break where it sees fit. 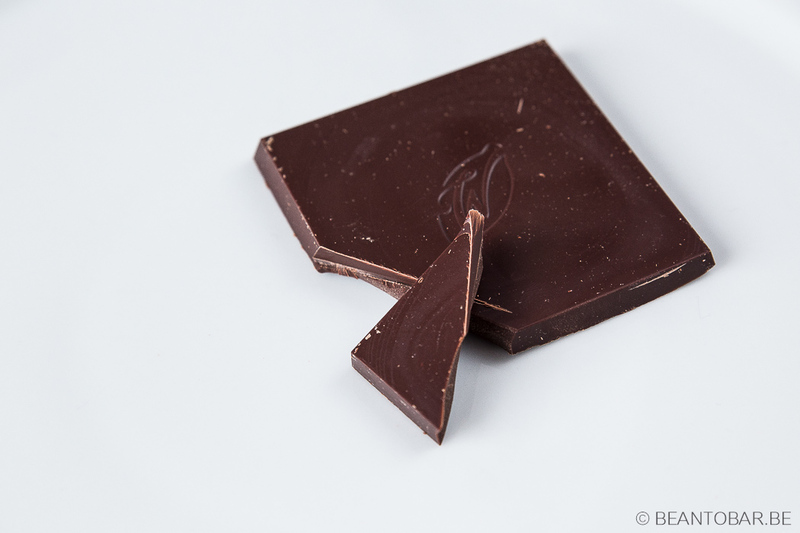 In your mouth, the melting chocolate swiftly starts off with a dash of deep roasted coffee tones, followed by yellow dried fruits – plum, raisins combined with rich caramel tones. Next a bunch of earthy flavors such as hay, tobacco, a touch of mushrooms, create an almost autumn like atmosphere. Finally wood and smoke join in near the end of the melt, twirling around a heart of cheesecake tartness. Funny how the flavors move back and forth, hide and return – seeking attention before subduing again, making room for other tones. The aftertaste remains smoky, woody and earthy but also keeps the autumn flavors pretty vibrant in the mouth for an extended time. Once more Willie Harcourt-Cooze shows what can be done with good cocoa beans and the patience to extract their delicate aromas and let them shine in the final chocolate. The character of the bar is pretty different from South-American or African origins and show a distinct earthy aroma. The flavors mingle and dance between each other, making it truly interesting over and over again. 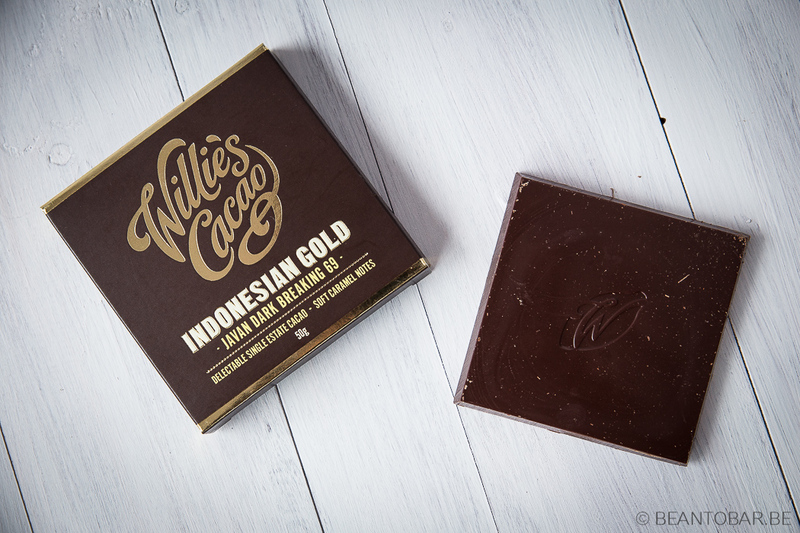 The 69% Indonesian cocoa solids make for a pretty impressive chocolate! Delicious!